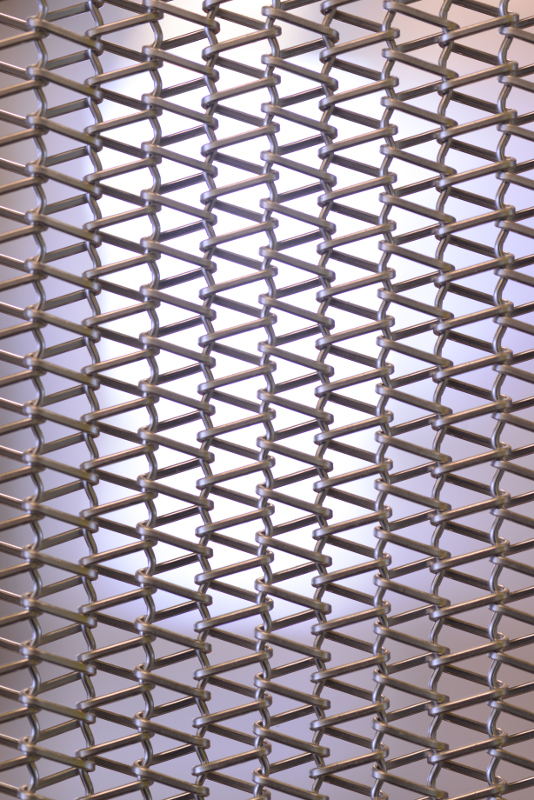 Strength and softness meet in a metal mesh room divider. 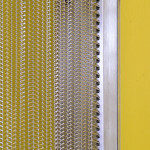 Interior dividers can be functional to a fault. 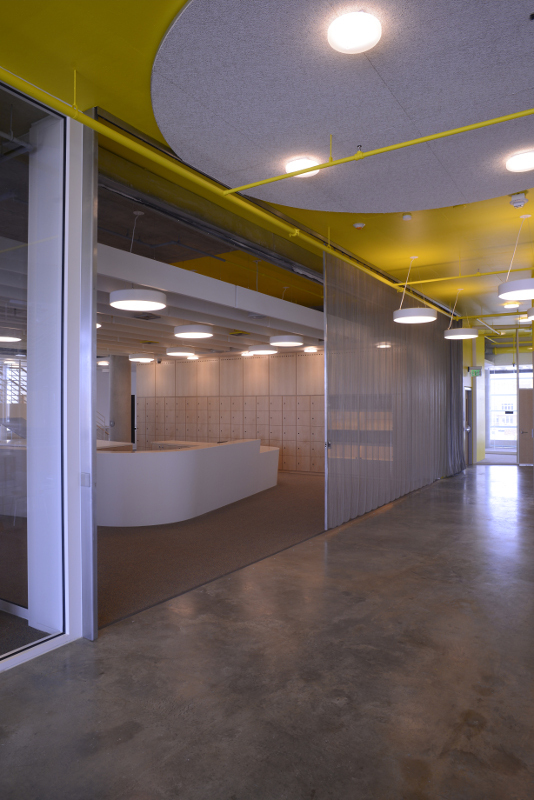 If a partition is all you need, then even drywall would do the trick. 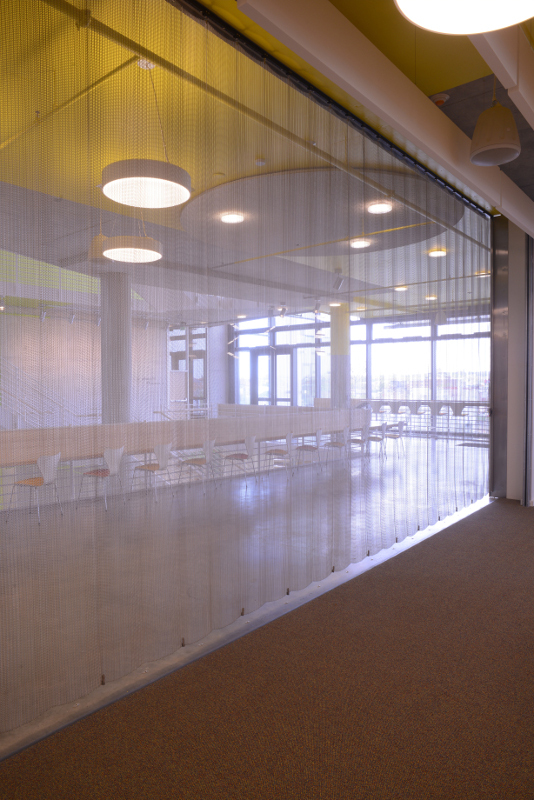 A custom-built metal curtain in the University of Baltimore’s new law building, however, brings an architectural sensibility to the problem of dividing one space into two. 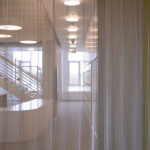 The curtain bisects the lobby with stainless steel, woven into mesh for a unique and uncharacteristically soft texture. Maryland-based Cambridge Architectural engineered and installed the custom mesh curtain for the John and Frances Angelos Law Center at the University of Baltimore. 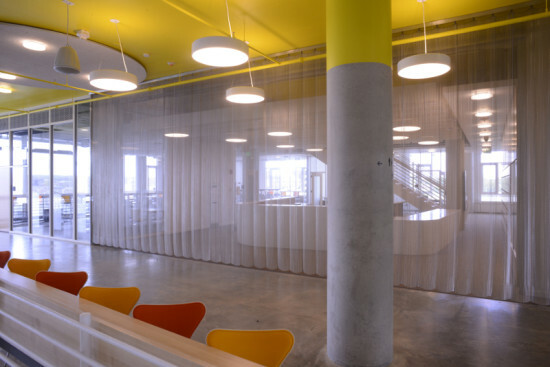 The building, designed by Behnisch Architekten and Ayers Saint Gross, won best facade in AN‘s first annual Best of Design Awards. 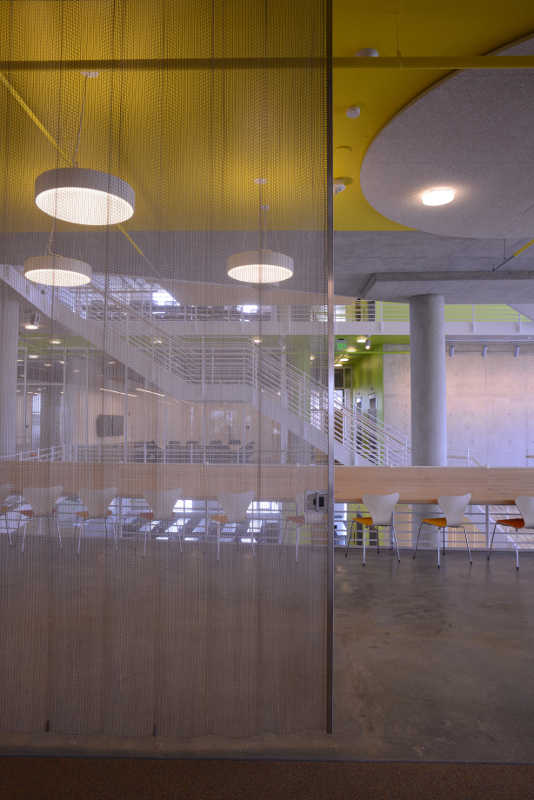 The divider is a continuous 33-foot curtain of architectural stainless steel in the building’s seventh-floor lobby. 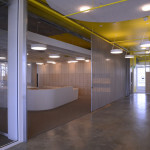 (A second divider, also designed by Cambridge Architectural, is located near the snack bar on the ground floor.) 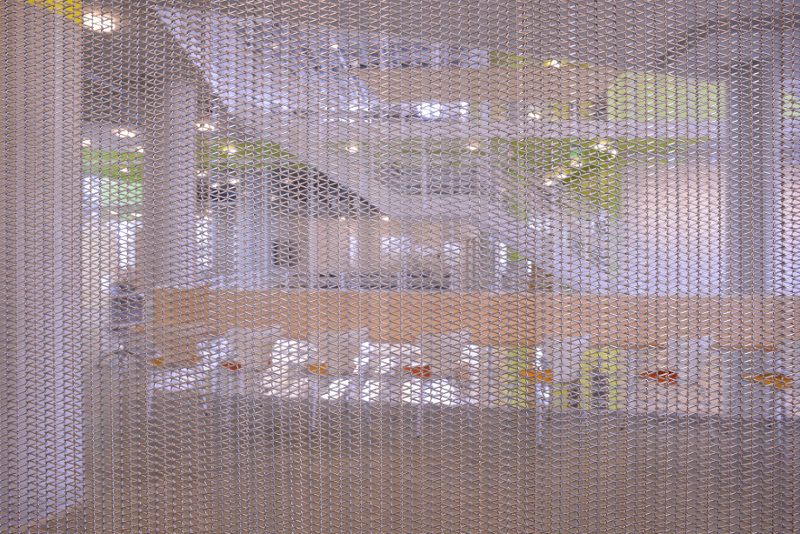 Made of small triangular volumes between a mesh weave, the curtain’s opacity varies based on the angle of the viewer. 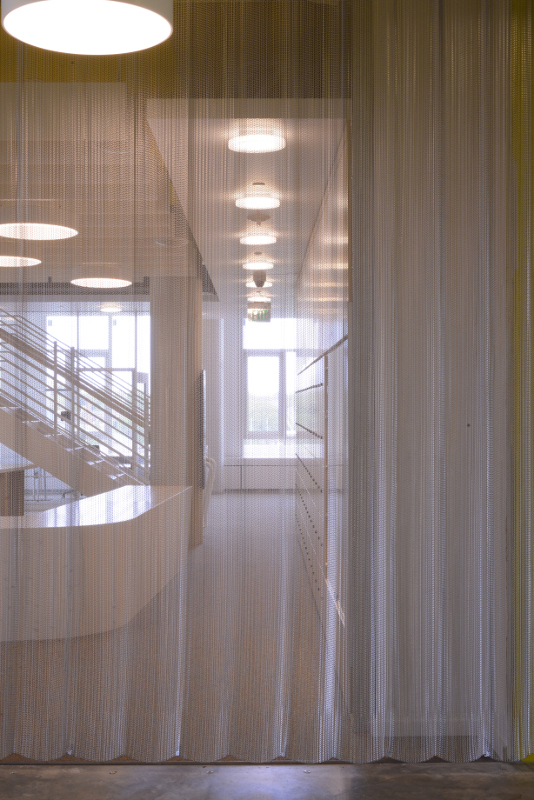 The Angelos Law Center curtain is longer than previous applications of similar systems, said Cambridge Architectural’s engineering manager Jim Mitchell. 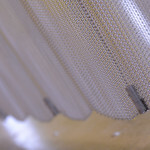 Many dividers the company has installed are less than 20 feet long, and are often split in the middle. 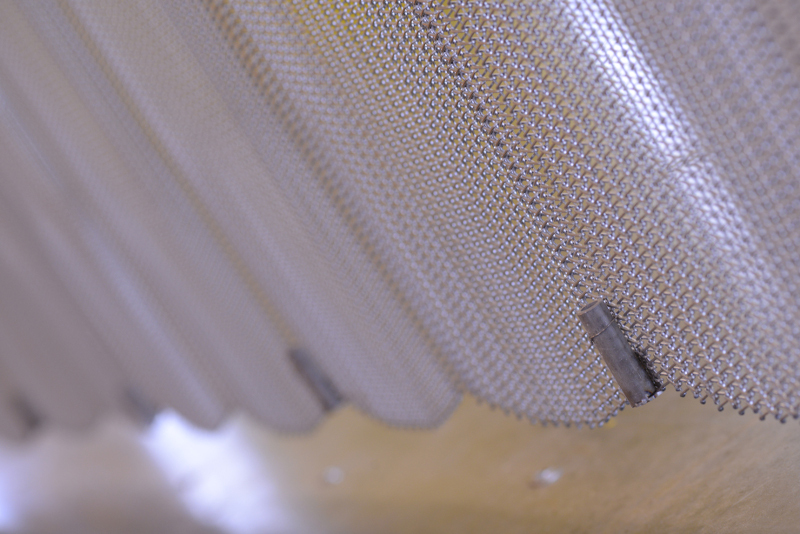 The tabs and aluminum tracks that hold the 500-pound curtain in place are marine-grade—that is, they are fit for sailing rigs. 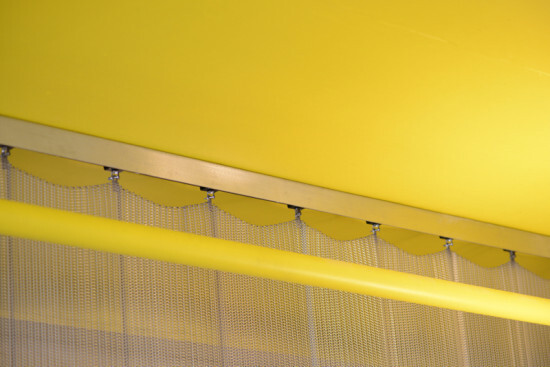 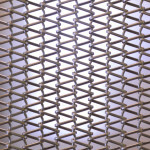 To make the tightly knit weave, Cambridge Architectural flipped the typical orientation of mesh curtains, running metal crimp rods vertically across the mesh instead of horizontally. 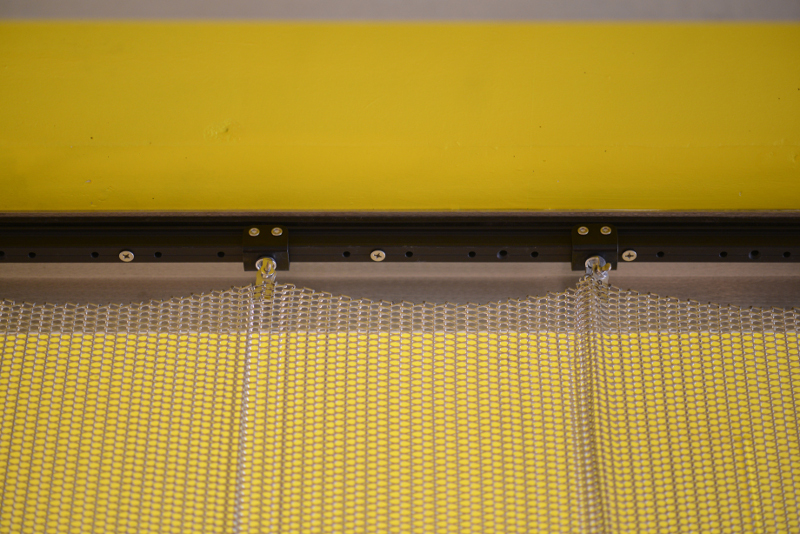 The crimp rods, welded once they are woven through, join the triangular volumes of the curtain. 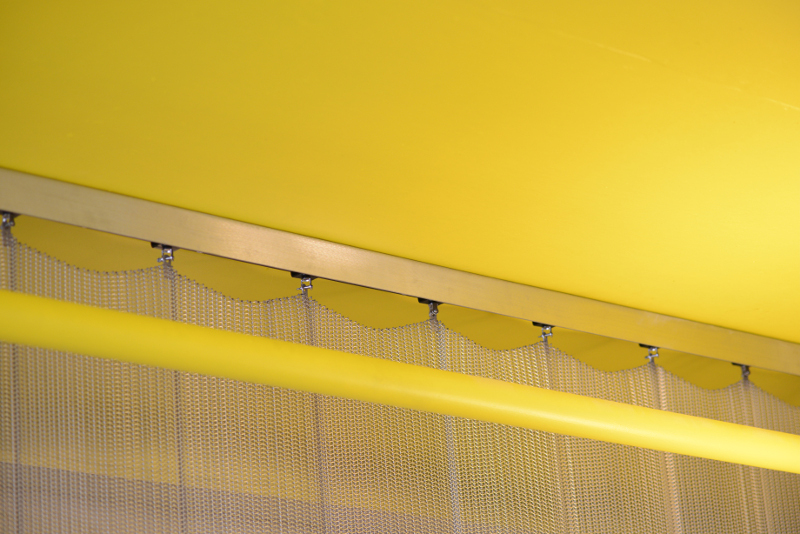 The designers modeled the curtain components in SolidWorks before sending the data to production. 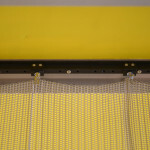 In the Angelos Law Center, the orientation of the weave was especially important because of the lobby’s tall ceilings. 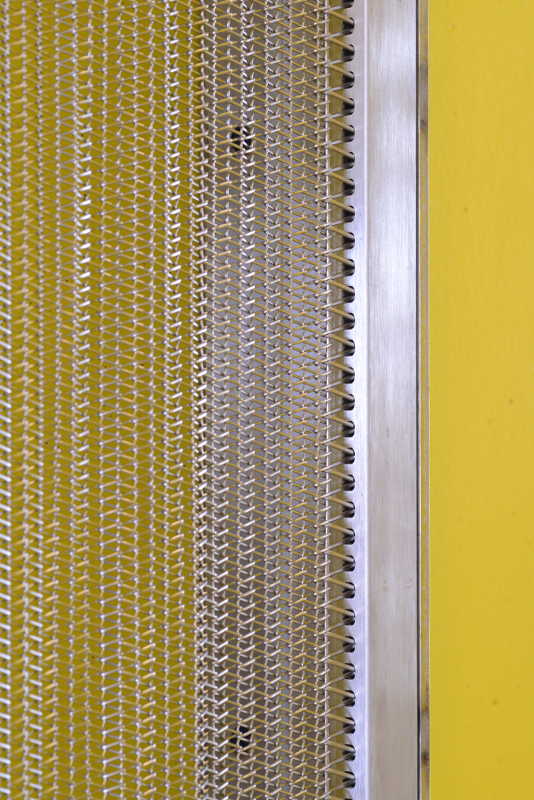 Whether it is locked closed as a true divider, or left partially open like a less substantial curtain, the stainless steel weave is durable and elegant.